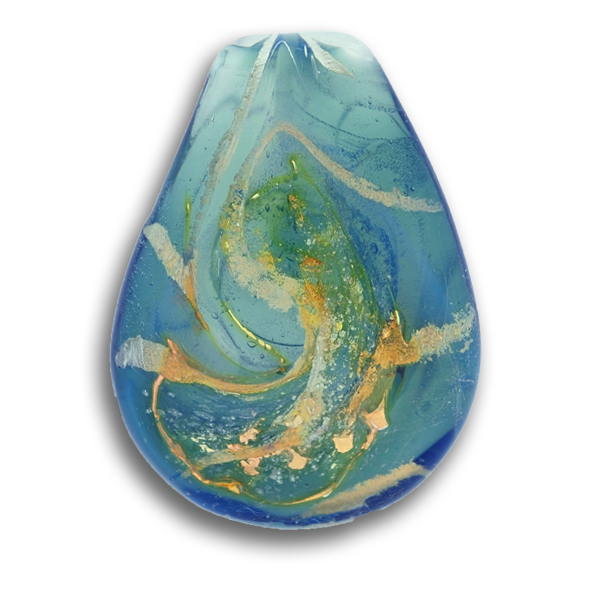 Description: Blue Sky is a beautiful, semi-transparent Blue cremation pendant, embedded with cremains/ash, gold, silver, brass and other metals in an optical clear Pyrex glass cremation pendant. It reminds me of warm sunny day. Once completed, I will sign the loved one’s name, or term of endearment e.g. Dad, Mom, etc. on the back of the keepsake in 22k gold, so as to be Forever in Glass.